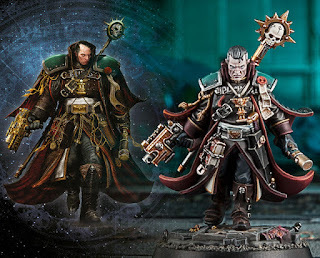 Interesting model comparison…… The newly coming Eisenhorn miniatures and an existing model from Artel «W» Miniatures. Ill let you make the comparisons. here is the new Eisenhorn Miniature…. there is a model that exists currently from an artist named «W» Artel that looks EXTREMELY similar to the Eisenhorn mini that is about to be released. Also what is interesting is that «W» Artel is removing that model from his store.